Anyone who has planned a conference knows that they’re a lot of work. Lining up speakers. Coordinating room schedules. Coming up with discussion topics. Promoting the event so that people show up. And, oh yeah... learning stuff! That’s important too. 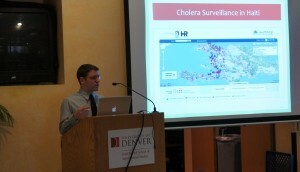 The event we’re talking about here is TechWeek@DU, which ran from April 16th - 19th at the Josef Korbel School of International Studies in Denver, Colorado, and was brought together by the school's Global Health Affairs Program, Humanitarian Assistance Program, and the Center for Sustainable Development and International Peace. 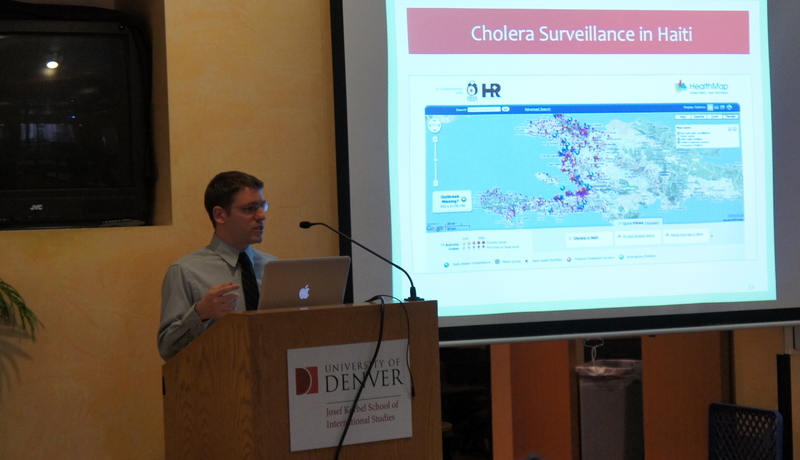 Five events in four days involving experts from Denver, Washington DC, and the greater Boston area, and discussing some of the most pressing issues in and around ICT4D. 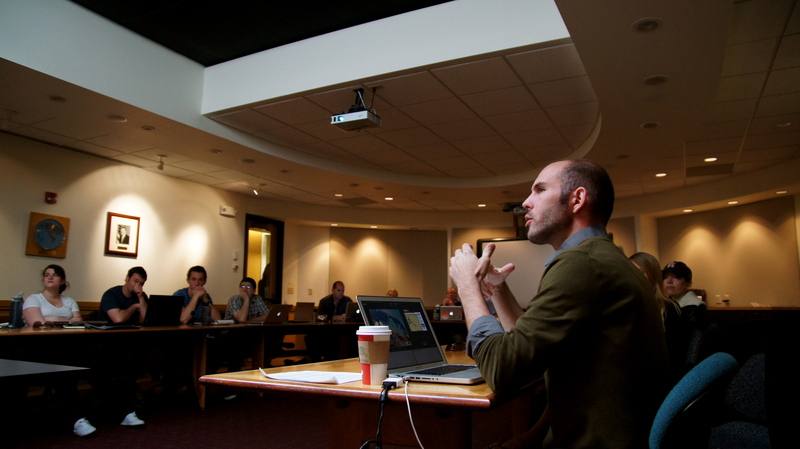 From crisis mapping to mHealth - for a week the Korbel School had tech on its mind. Tech is, and should be, for everyone. However, there are no silver bullets that will magically kill the beast that is complex operations and make our work easy. The reality is that the solutions we’re talking about here are 10% technological innovation and 90% people power. While advances in information and communication technologies can be leveraged to enhance the efficiency or effectiveness of one's work - at the end of the day, the user remains responsible for the success (or failure) of any program or operation. What truly matters is how you use these new tools- so education is, and must remain, a priority. On a personal note - this is ultimately one of the reasons why I joined the TechChange team. Having learned the value of leveraging technology for my own work in peacebuilding and development, it is my belief that our community writ large would be well served to remain informed as to the latest and greatest tools to suit our individual needs. And by learning not only how to use these emerging tools in our own work, but also how other organizations apply them in new and innovative ways, we can work together to strengthen the community as a whole. What does it mean that we can now access new levels of information about people in crisis zones? What are the potential risks that come along with this new opportunity for data collection, management, analysis, and response? 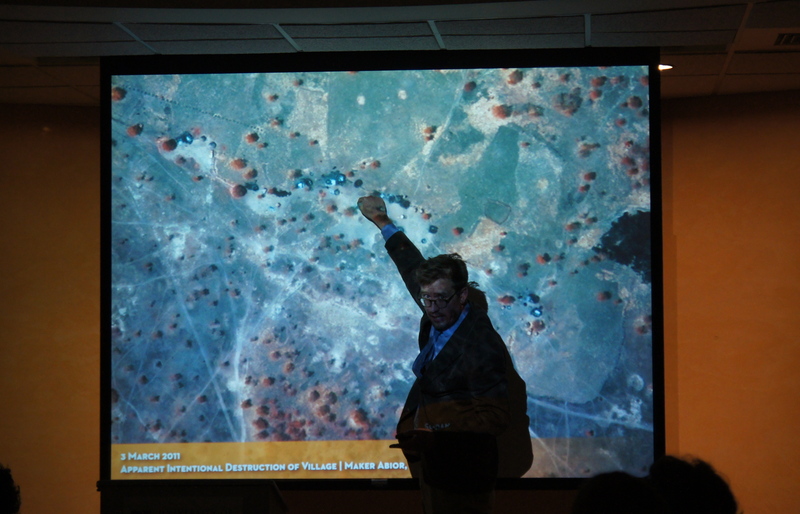 As we learned from Nathaniel Raymond, Director of the Satellite Sentinel Project (SSP) at the Harvard Humanitarian Initiative - we’re all in the war because tech makes it global. Putting dots on a map may seem harmless, but any and all sensitive information can be used in previously unforeseen ways. As such, the question of ethics are paramount, and must be regularly addressed as we continue to intake and output large quantities of data and information. This lesson is especially apropos to the work of Dr. David Scales and his team at HealthMap. Using their data aggregation system to show where outbreaks are occurring around the world - which is based on the news feeds of major health organizations and a number of other sources - global health practitioners are able to track health emergencies in real-time, take steps to prevent the further spread of disease, and ultimately save lives. 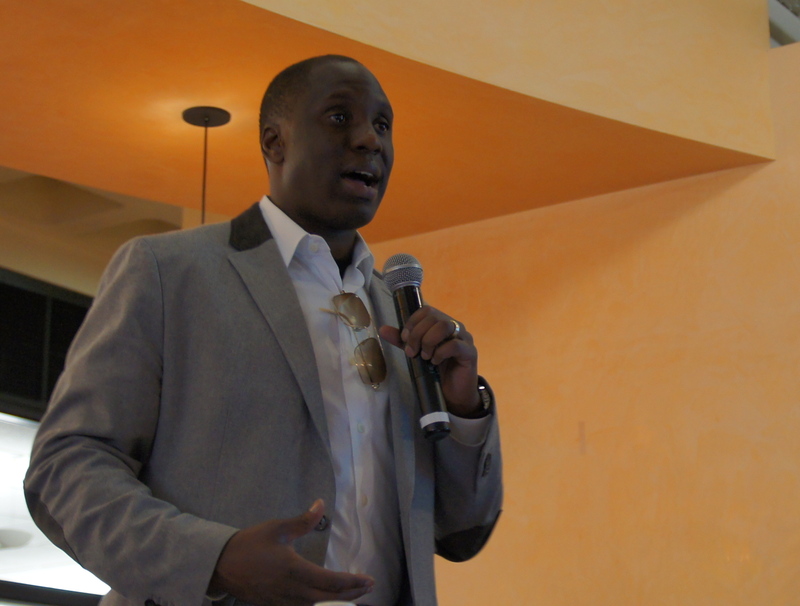 When we started TechWeek, I hoped to bring in outside tech experts, but also showcase DU. It wasn’t until I had a chance to meet the team at pirate tracker, hear more about KP’s work with access.mobile, learn about the upcoming launch of the TIPS program through the work of Professor Debbie Avant, engage in discussions with Korbel PhD students Roni Kay O'Dell, Keith Gehring, and Jonathan Moyer on how ICT has evolved over time, and see the overwhelming enthusiasm of the student body at DU on ICT4D, that I really learned how amazing DU is already in this field. We’re not only active, but even on the cutting edge! So if the goal of this year's TechWeek was to bridge the divide between different types of experts working in complex operations, then thinking about the ways we can showcase more of Denver’s amazing talent at the next round of conversations may just be the best place to begin. At the end, I learned more about the tools than I thought I would. But the most valuable parts of TechWeek happened in the conversations between the presentations. Once again - it’s not just about the technology, but about the people. Thanks to our speakers for bringing these tools to life and to the students who showed up. And thanks to all of the amazing members of the core team who made everything go off without a hitch. While TechWeek is over (at least for this year), it is my hope that this is just the beginning of a larger conversation we can continue in years to come.